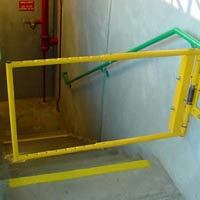 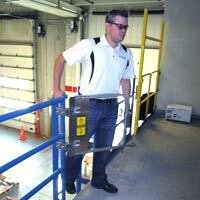 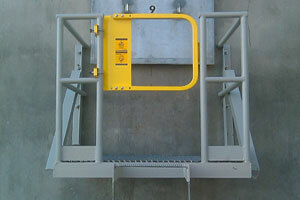 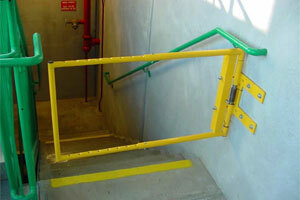 Self-closing ladder safety gates meet OSHA standards for fall protection. 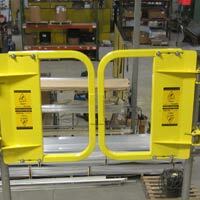 Control foot traffic with a self-stopping safety swing gate. 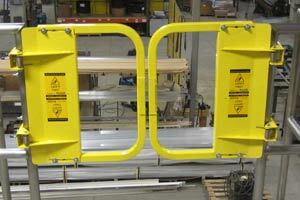 These paired safety gates are perfect for applications where you can't use a single gate. 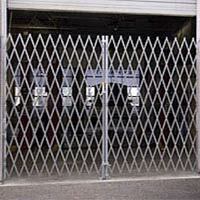 Steel folding gates are heavy-duty loss protection.